Holidays are coming, guys! 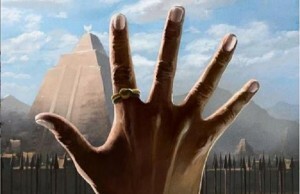 We can already sense them in the air. 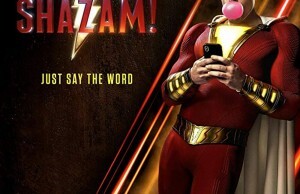 And how do we sense the upcoming jolly-time? 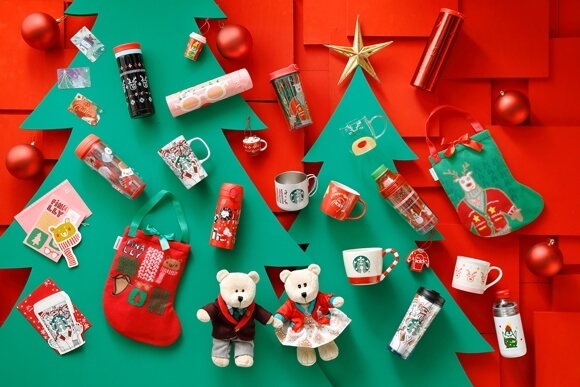 By new Starbucks releases in Japan which are as jolly as Santa himself. We wrote about Starbucks new drinks a few times before like the cool purple drink they made last year. 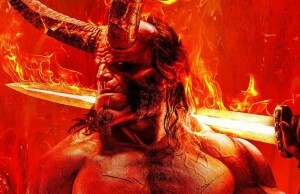 Japanese Starbucks just thrilled their customers last week by a special offer for Halloween and their Halloween Mystery Frappuccino, and now the time has come for a new surprise. For the upcoming holiday season, they came out with a special offer in a form of two delicious new beverages which are done in colors of Santa Claus. 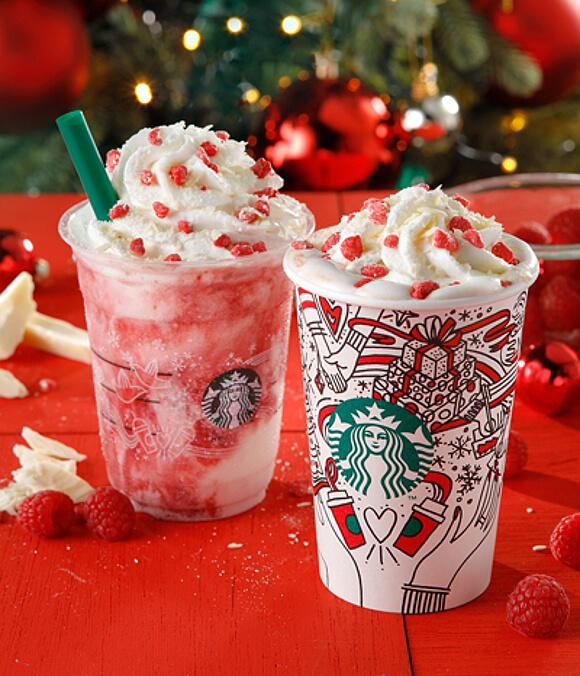 The Raspberry White Mocha and the Raspberry White Chocolate Frappuccino are both as Christmasy as a cup of coffee can get. The Raspberry White Mocha is a divine mixture of whipped sweet cream and white chocolate with the tartness of raspberry sauce, espresso-based, while Raspberry White Chocolate Frappuccino is a cream-based Frappuccino, containing swirls of raspberry sauce and the same topping with tiny flakes of white chocolate resembling the snow. 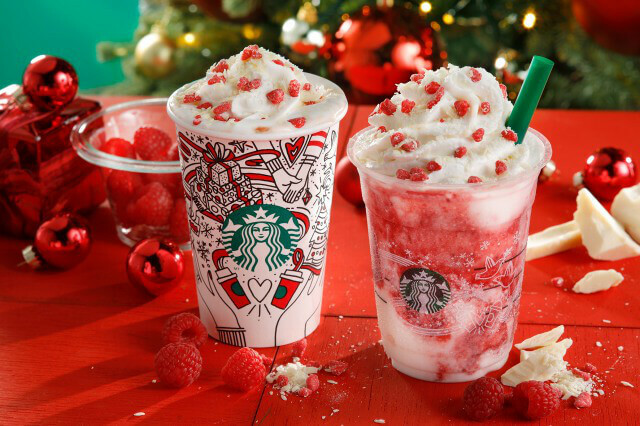 The Raspberry White Chocolate Frappuccino is set to retail for 580 yen (US$5.10 – tall size only), while the Raspberry White Mocha will be available in all sizes, from Short to Venti, ranging in price from 440-580 yen. Both drinks will be on sale from 1 November to 17 December. 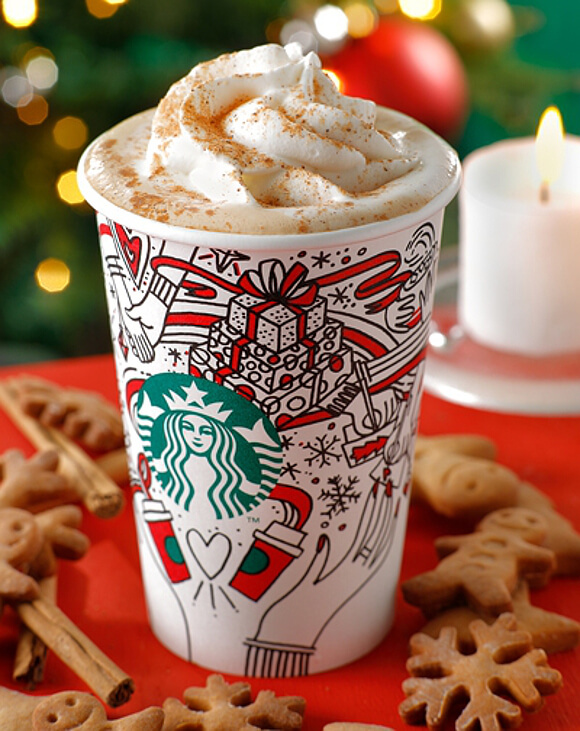 The Hot Gingerbread Latte (last year popular Christmas drink) is priced at 420-540 yen, and will be available from 1 November until Christmas Day. 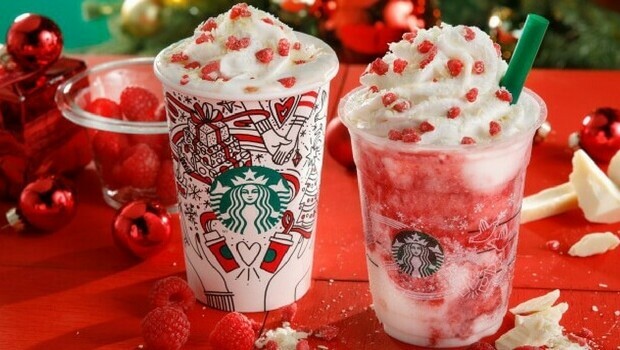 The Raspberry White Mocha and The Raspberry White Chocolate Frappuccino are special Christmas editions of beverages in Japanese Starbucks. Traditional Santa’s colors and cups featuring beautiful holiday themes. The Hot Gingerbread Latte is last years popular Christmas drink and it will be still on the offer. 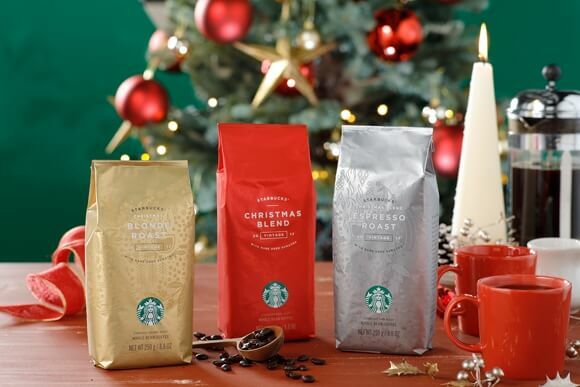 Japanese Starbucks will also be releasing their special Christmas Blend coffee.